You noticed "sweating windows" after you had your new impact-resistant windows and doors installed. First explanation that came to your mind was an improper installation by your window contractor. Well, it is most likely not the case at all. 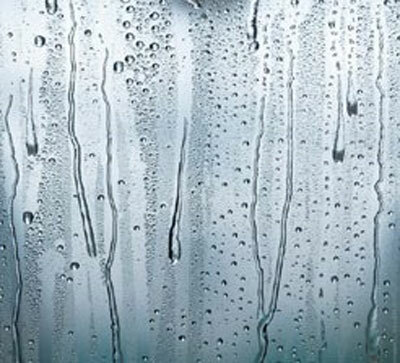 Generally speaking, condensation on the inside of the glass is a not a sign of defective windows. Instead, it is a symptom of a moisture imbalance (mainly excess humidity trapped) in your home. Lack of proper ventilation is the main cause of excess humidity trapped in a house. 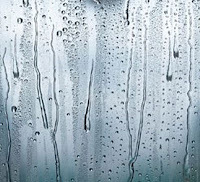 The excess humidity is created by daily activities, such as cooking, showering, bathing, clothes washing and drying, as well as the use of humidifiers and unvented gas heaters. It is important to point out that when you replace standard-glass windows for impact-resistant windows, your house will be significantly better sealed against air exchange (inside-outside circulation). This new condition accentuates the symptoms. So, when you have brand-new windows installed combined with a house heating and cooling system not properly designed, or outdated, you will start to accumulate excess humidity inside your house during the winter months. When temperature difference between the outside (cooler) and the inside (warmer), you will notice how water drops will begin to accumulate on the glass surface of your windows. The amount of water will be proportionate to the amount of humidity trapped in your house. Now, people ask themselves why this phenomenon appears in the windows. The reason is that the glass on your windows and doors tends to have lower temperatures than other surfaces in your house. If condensation is chronic in your house, then you have excessive humidity. This excess moisture can have, and will most likely have, serious consequences, including mold and mildew development. 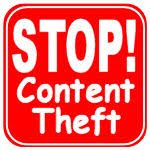 After these conditions are maintained unchanged for some time, you will notice that your personal property, especially clothing, will be damaged. More importantly, the excess humidity can result in serious health threats. Inadequate ventilation of windows: Try as much as possible to allow air circulation in and out of the house. Keep window coverings sufficiently open during the day to allow proper circulation. Cooking and dishwashing: Install vent stove range hoods and dishwashers ducted to the outside of the house. Showers and Baths: Make sure that exhaust fans are installed in bathrooms. These fans must be ducted to the outside of the house. Ironing, washing and drying laundry: Install duct pipes which take the air to the outside of the house. If you have any questions or want to share additional information regarding this topic, drop us a comment below.